Memory loss can be an unexpected challenge for many aging adults. 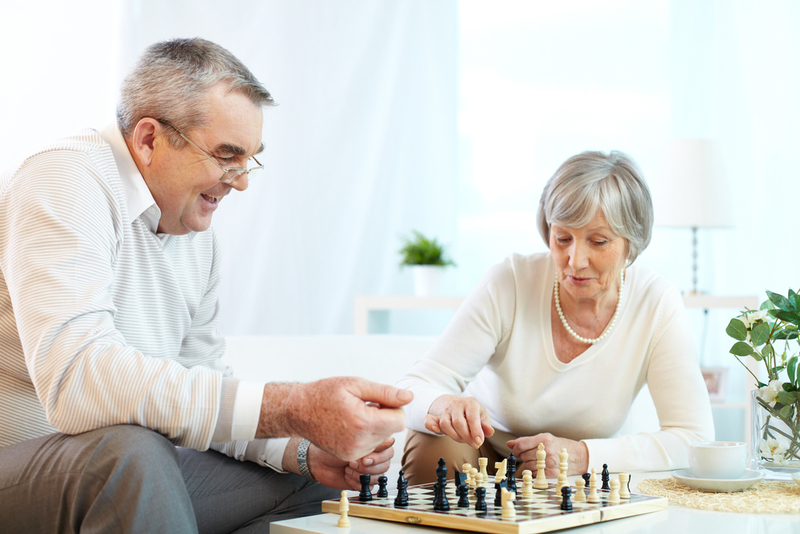 The slowing of certain cognitive functions, although part of the normal aging process, can impact a person’s ability to complete the activities of daily living (ADLs) and sometimes reduce quality of life. The brain is a critically important organ, and just like other parts of the body, it needs regular exercise and care in order to combat age-related degeneration. ADLs (eating, bathing, dressing, toileting and transferring) all require motor skills, but they also are highly dependent on cognitive function. That’s why it’s important to remain active physically and also take other measures to keep your mind agile. Here are some strategies to keep your brain sharp. Science supports the concept that regular exercise of your body will translate to a healthier brain. Whether it’s a walk through your neighborhood, an aqua aerobics class at the clubhouse gym, or a yoga video in your living room, make time regularly to exercise your body. Exercise increases blood flow and pumps additional oxygen into the brain while lowering stress and improving mood, all of which can help slow deterioration of cognitive function and other symptoms of aging. Whether you decide to take up sewing, photography, art or mahjong, studies show that learning something new can stimulate the growth of new brain cells and the creation of new synapses, which can in turn slow memory loss. Learning a new skill or taking on a new hobby may also be fun, spark your curiosity and help create a sense of greater meaning. Many community clubhouses, community centers and local libraries offer senior classes, which can also afford opportunities to make new connections. Reading utilizes different parts of the brain, stimulating imagination and leveraging memory. Reading a new book is like exercise for the brain, and research shows that regular reading can improve memory and slow aging. To generate the biggest jump in brain power, try reading a variety of genres and mediums. For example, if you usually read historical fiction print books, try a mystery audiobook, flip through a design magazine or download an autobiography on an e-reader. Putting some creativity into daily pursuits can help stimulate the mind and create a sense of fun and spontaneity. You don’t have to be an artist in order to practice creativity. Simply listening to a new genre of music, adding a new ingredient or two to your favorite recipe, switching to colored pens for notes and lists or planting a terrarium are all ways to incorporate creativity into your daily life. You might even try using your non-dominant hand for daily tasks (like brushing your teeth) once in a while or performing a daily routine in reverse order to give your brain a stimulating jolt. A caregiver in the home can help with exercise, will accompany loved ones to the clubhouse for activities and will provide assistance with other tasks like making a favorite recipe. If you or your loved ones are experiencing difficulty with memory or cognitive issues or are starting to need support with ADLs or help with food shopping and doctor’s appointments, call La Nurse Home Care Registry at (561) 279-9885 or contact us online. We can conduct an in-home assessment to determine the type of caregiver that would best meet your care needs.